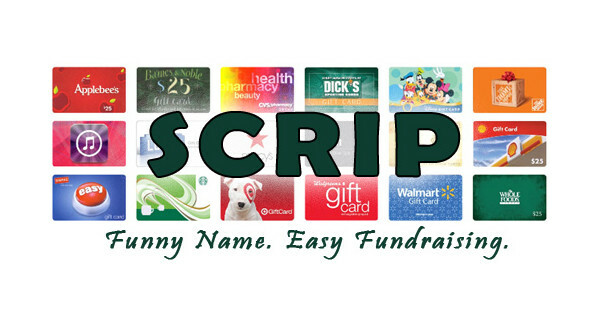 Fundraising is easy with Scrip! Every time you order a gift card through our Scrip program, Calvary receives a small percentage of the sale at NO EXTRA COST TO YOU! You can order a gift card using Calvary's order form, or you can order from over 750 brands using the online service. Once your order is placed, your cards will arrive a few days later and you can start shopping. It's that easy! If you need to shop right away, over 300 brands are available immediately with e-gift cards on the Scrip website, and over 100 brands are reloadable! If you would like to order cards or get more information, please see Nydia Longoria or Kandice Duke in Calvary's Financial Office.